The holidays give us a lot of reasons to smile. With Google Photos, you can even make sure that every one of those happy moments is saved and backed up online. 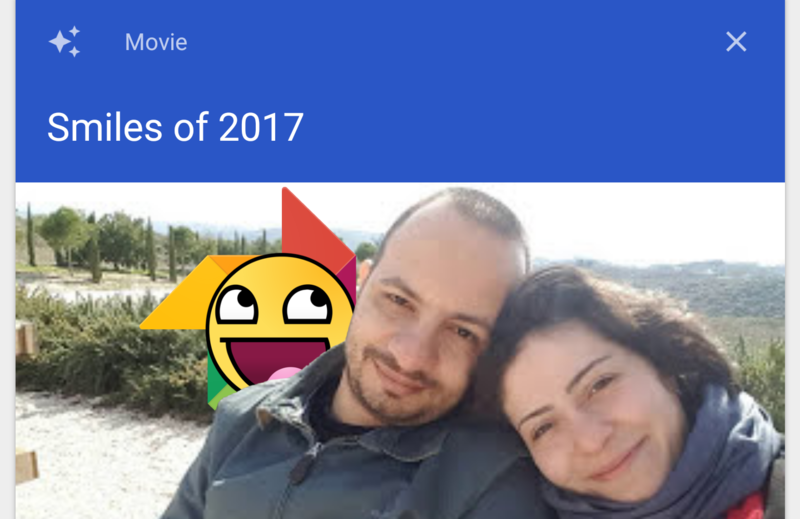 And now you can enjoy looking back at all those happy moments over the last year in a new "Smiles of 2017" movie. These short video collages have been rolling out in Google Photos over the last week or so. Some of us at AP have had it for a while, though others are just seeing it. It hasn't even appeared yet for me, but sometimes these automated creations can take some time to hit everyone, and if you don't have enough photos of people smiling, you might be out of luck. 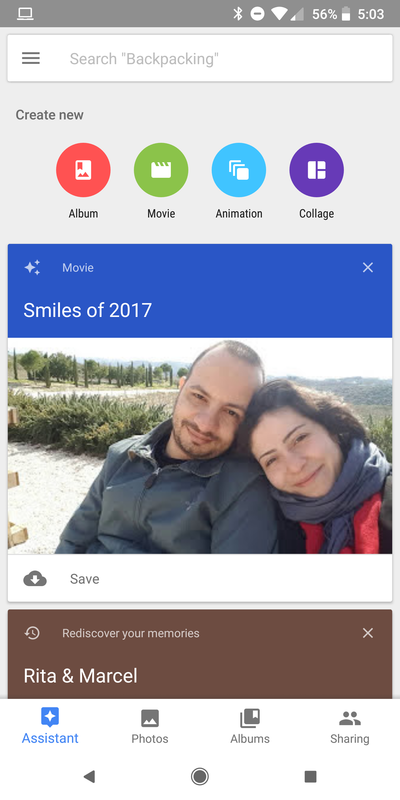 This isn't the first time Google has done these "Smiles" movies, either. There was one for 2016, and there have been other Assistant-based seasonal videos like the "Summer of Smiles." Some of us got them last year, but this 2017 retrospective seems to be hitting a larger number of people. In format, they're pretty much what you'd expect for these Assistant-based video collages. They have the same standard pool of Google Photos video music set to an animated slideshow composed of your photos from the last year of people smiling. Lengths vary, but they are mostly between 40-60 seconds. If the Assistant has thrown together one of these videos for you, a notification should pop-up when it's done. When it is, it should appear as a card in the Assistant tab on the Google Photos app or desktop site, and from there you can preview and save it if you choose to.